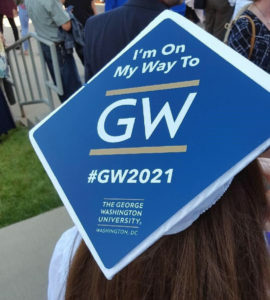 WHY SEND A TASSEL TOPPER? 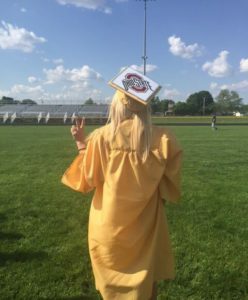 A Tassel Topper will help make sure your school is part of the unforgettable high school graduation experience. 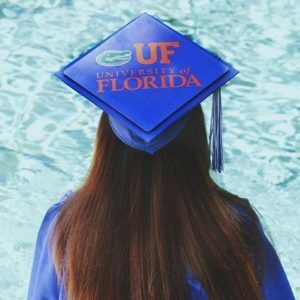 By topping off your student’s grad cap, they won’t forget that your school is their exciting next step after crossing the stage. Their acceptance letter was your chance to welcome them to the family, this is your chance to have them brag about it. 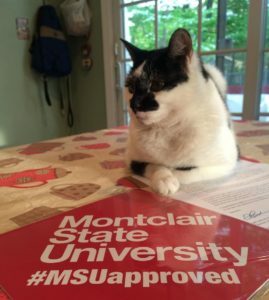 Your incoming students are just three months away from starting college. By sending something to them for their graduation, it really hammers home that soon they’ll be taking one of the biggest steps of their lives. Just think about how many photos are taken surrounding high school graduation. 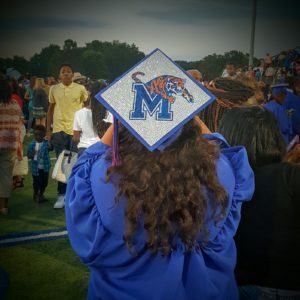 Photos are taken when a student receives the Tassel Topper, there’s the ceremony itself, photos with family right after, graduation parties, and so much more. 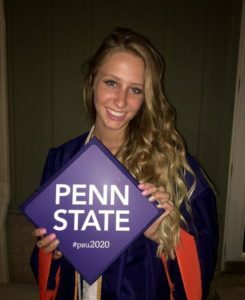 By including a unique hashtag on the Tassel Topper, your logo has the potential to be seen by hundreds of thousands of people. By having your incoming students incorporate your school at their high school graduation, before they’ve even attended their first class, you reduce the chance of them not showing up on campus in fall. People trust their peers more than any kind of advertising. 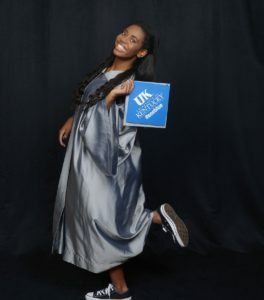 There’s no bigger peer endorsement than one of your incoming students walking across the stage to receive their diploma while proudly displaying where they’ll be heading in the fall. 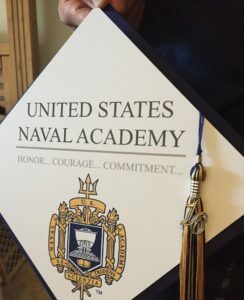 Your branding is showcased to people who may not have even heard of your school before and your branding on a Tassel Topper is sure to be a conversation starter. Why wait until orientation or that first game to let them wear their pride on their cap? Let them show off how proud they are of their decision to come to your school. 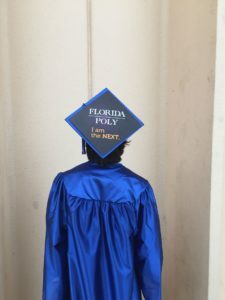 You may be wondering what to do if a high school doesn’t allow cap and gown customization and how your incoming students will be able to move their tassels from right to left. Don’t worry! We have answers to those questions and more! 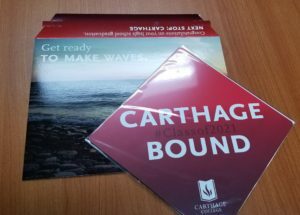 Interested to see how Carthage College in Kenosha, Wisconsin used Tassel Toppers to get their incoming students excited and more engaged? Check out our case study! Want to Get Your Order Going? If you already know what you want, get your order started here or give us a call at 414.831.0184! 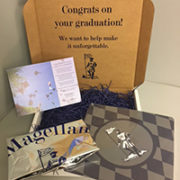 Magellan Promotions provides a number of different mailing packages that include the tassel topper and other great promotional products that will get your incoming students even more excited during their high school graduation! A few of our favorite options are below. 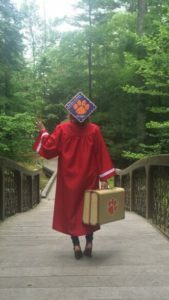 Tassel Topper Without Mailing – New Low Pricing! This option allows you to decide how to distribute the Tassel Toppers on your end. Get your Tassel Topper ordered today! A Tassel Topper decorated on both sides – put your logo on one side and a letter of congratulations on the other! 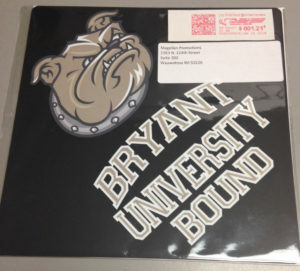 A mailing label will be adhered directly to the tassel topper’s packaging. Magellan Promotions will handle the mailing, from beginning to end. Just send us your mailing list, and we’ll handle the details! 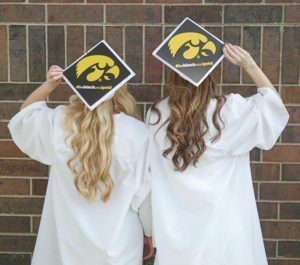 Get your Directly Mailed Tassel Topper ordered today! Postage not included. Additional charges may apply. 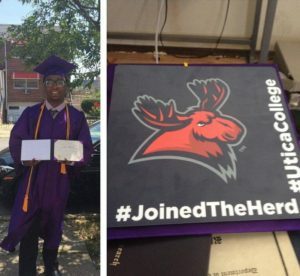 A variable-data letter from you, explaining how to use the Tassel Topper, and reminding them to share pictures on social media. And don’t forget to congratulate them on their big accomplishment! Get your Tassel Topper Branded Mailer ordered today! Get your Tassel Topper Graduation Pack ordered today! The packages you see above are just suggestions! You can mix and match with the items above and a multitude of other options to get as creative as you’d like. We’re happy to tailor the best graduation package for your incoming students. 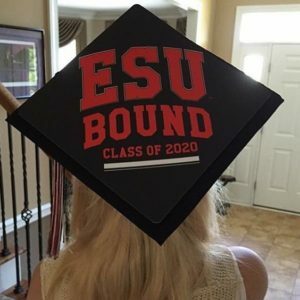 Ready to make graduation special for your incoming students? We’re here to help. Magellan Promotions aims to provide you with an experience that is stress-free, reliable, and innovates in a way that adds value. Reach out to discuss the best graduation package for your incoming students today! Please contact your account manager, send us an email, give us a call at 414.831.0184, fill out our contact form, or get your order started here.